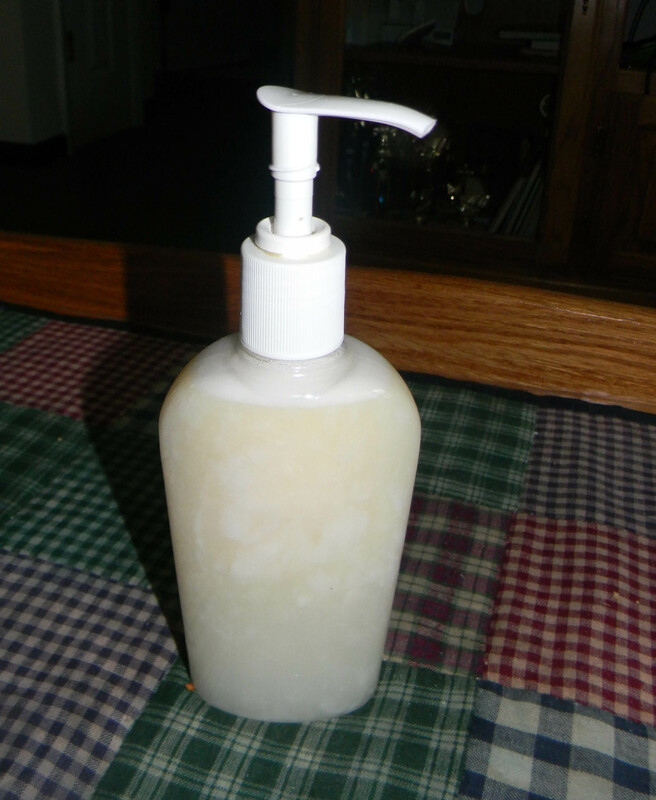 When I first started making homemade liquid hand soap I used store bought bar soap. The reason I made the liquid soap was because it was so much cheaper than purchasing. The cost of a gallon of homemade liquid soap is whatever you pay for 8 oz. of soap plus 2 tablespoons of glycerin. Grate the soap. 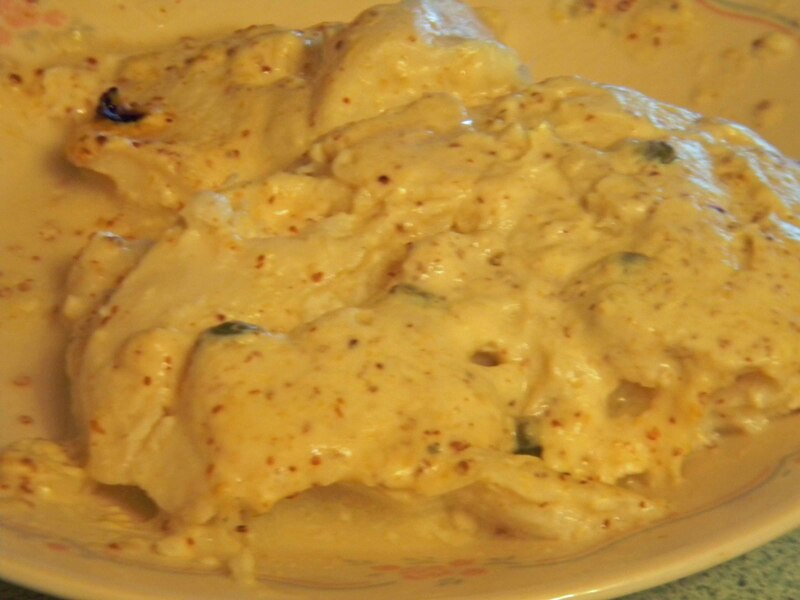 Add the the grated soap and glycerin to the water and cook on medium low unil soap is melted. Let sit for 24 hours. If the soap is too thick mix with a hand beater. You can also add some additional water if needed. Place the soap in containers. I have made two batches using different types of store bought soap. The first batch I made was with Yardley’s Oatmeal and Almond that I purchased from Wal-Mart for $2. The cost for a gallon of this soap was approx. $2.25. 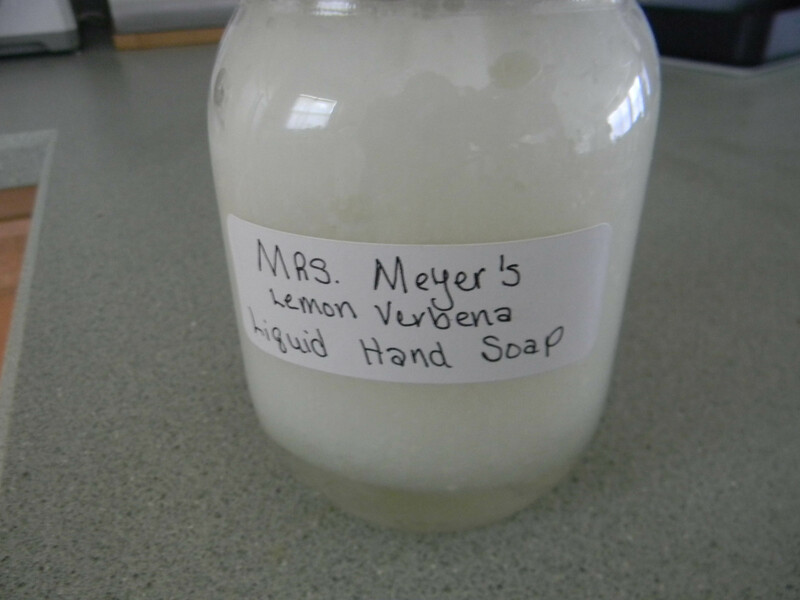 The second batch I made was with Mrs. Meyers Bar Soap. For a gallon of this soap it was approx. $4.25. My Wal-Mart sells Mrs. Meyers Liquid Soap, 12.5 oz, for $3.95. This soap does separate after sitting a while so you will need to shake the container once in a while. Once I began making my own soap I tried making liquid soap with these. When I used the Shampoo Bar it stayed a thin liquid. I read on other posts that if there are too many oils or butters in the soap it will not be the consistency of a hand soap but it will still work. I really didn’t want a thin liquid so I grated some Mrs. Meyers, about 6 oz., and melted it in the original soap. It took over 2 days to become thicker but was the consistency I wanted. 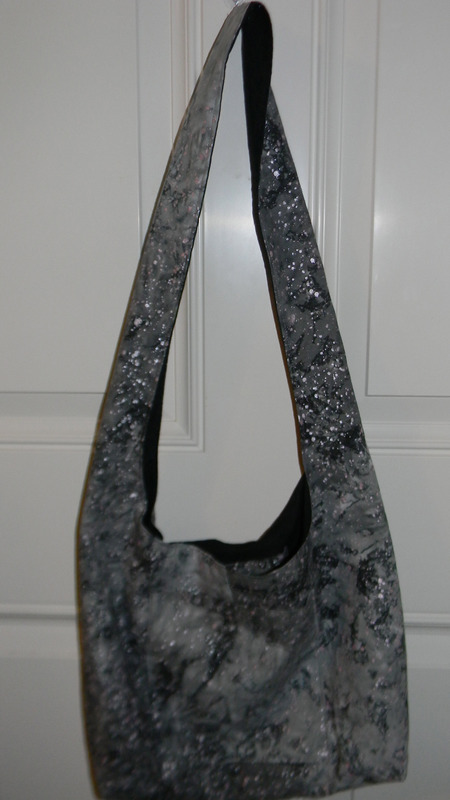 Next I tried it with the castille soap bar I made. It also turned out to be a thin liquid. I tried using it and it works fine. I guess I am not going to get the consistency I want using my homemade bar soaps. I am going to mix this batch of thin liquid with my Mrs. Meyers batch and see if it helps it from getting thick and separating. 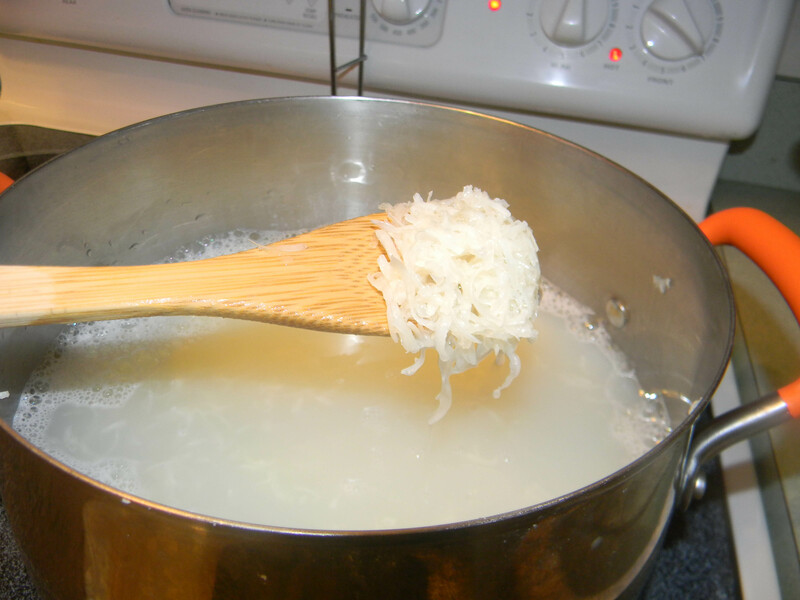 I have done some research and there are recipes for making liquid soap from scratch. I may try that in the future. If you have made liquid soap from scratch I would like to hear your experience. This entry was posted in Homemade products, Posts and tagged handmade soap, homeade products, homemade liquid soap, homemade soap, liquid soap. Bookmark the permalink. very good to know, thank you!! I had never thought of making soap by hand – I mean, not without using lye and it being a big big event .. I will try this. Thanks! Ok, so I decided to try making liquid hand soap out of my olive oil bar. It worked fine. After researching glycerin I decided I would try to make the soap without, since I found one recipe that did not call for it. It did not thicken, but works fine just the same. Thanks Keo for the inspiration!